Unmanned Aerial Systems have reshaped military force protection. We realized the need for a tactical system that could serve our nation's Warfighters in the most hostile areas of the world. 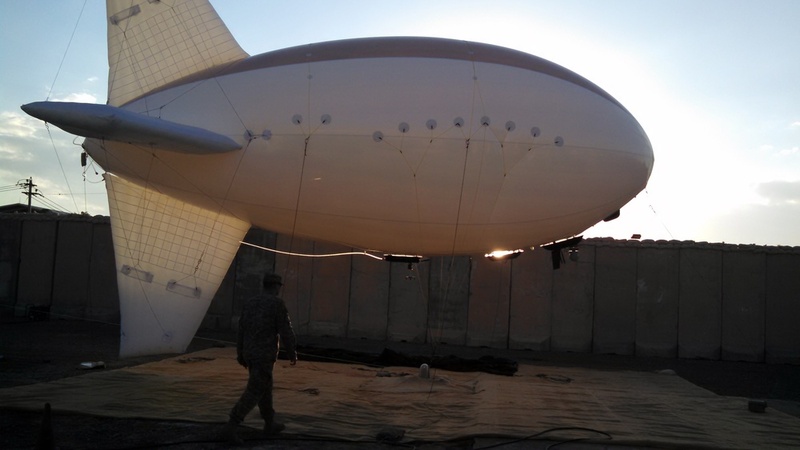 The ALTUS tactical aerostat has proven to be a major asset in protecting our forces downrange and providing the ISR capabilities necessary to complete their missions. ALTUS is a soldier deployed, soldier monitored, and soldier recovered system requiring only 4 Warfighters to deploy and operate the platform. A consolidated, trailered deployment and simple easy-to-use interface reduces the level of training required. With minimal site preparation and confined space launch capability, the system has been widely used by United States Army Special Forces. Truly a tactical platform to help the Warfighter in the most remote areas. The system’s advanced technologies provide a number of features unique to ALTUS. Some of these key electronic components include a self-sufficient pressure monitoring system, incorporated safeguards in case of catastrophic events, and a Distant Look – Long Range Remote Viewing capability allowing data capture to be seen at an isolated location separate from the ground control station. With special design considerations for interchangeable payloads, the system can accommodate other intelligence, surveillance, and reconnaissance demands. With thousands of hours of successful flight the ALTUS gives military forces a deployable eye-in-the-sky capability and provides ISR superiority for perimeter defense where ease of operation and mobility are of greatest value. Silicis Technologies Inc also provides logistics and training for its deployed aerostats. Our Field Service Representatives and team of engineers are available day and night to provide solutions to the Warfighters downrange.